Tell your loved ones to skip the flowers and candy – you don’t want to keep any of these around for long. This Mother’s Day I want to treat you to something very special, something that will last and something that you’ll be really happy about! 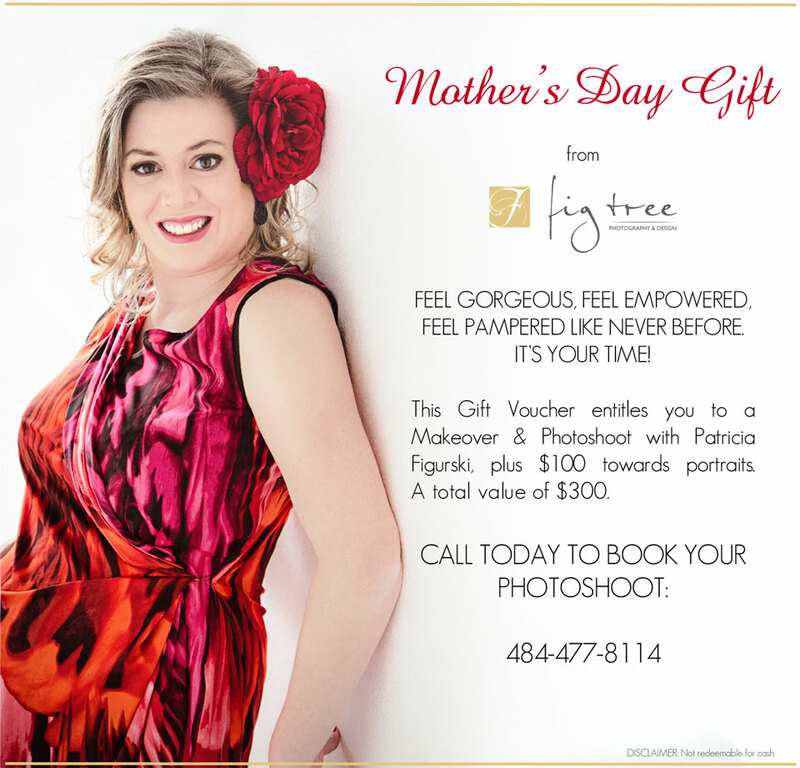 This Mother’s Day – I want to give you a gift. My gift to you is a beauty makeover, photoshoot, and $100 to spend on your favorite images. I look forward to meeting and photographing as many of you as I can. To claim this offer, you need to contact me in May. Don’t delay – space is limited. What a thoughtful offer! I hope you get a great response to this. If I lived nearby, I would certainly be there. This is truly unique! I will share this on social media for I know a lot of sons and daughters must be looking for Mother’s Day gift ideas. That looks like an awesome gift. I haven’t had professional pictures taken of me since I was a kid. Come to Malvern and I’ll do a special session- just for you and your three daughters! Oh this is something I would have not thought of, thanks for the idea. How fun to do your own personal photo shoot. This would be fun to do with my mom & daughter too. i would love this offer… what an awesome idea! Awesome gift idea! I would love to get pics done! Virginia – if your live in the area- just send me a message. I would love to photograph you!